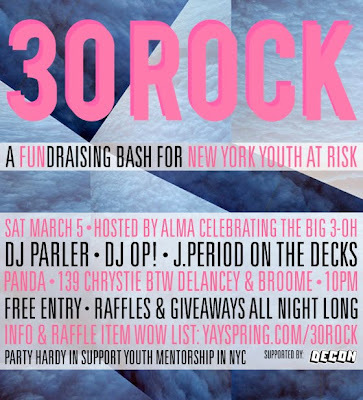 Catch us this Saturday @ Panda for a fundraising bash for NY Youth At Risk. Hosted by Alma celebrating the big 3-O. DJs Parler, OP! 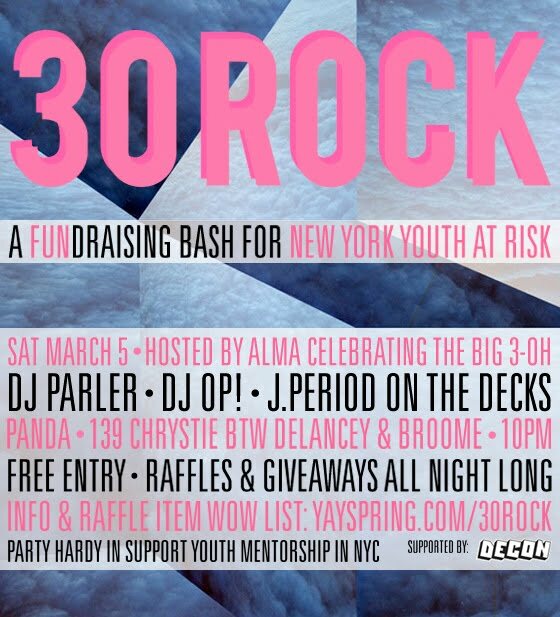 & J.Period on the decks.